Pick up the phone and call the store closest to you and ask to speak with the manager on duty. Regardless of which option your prefer, you should introduce yourself as a local author interested in speaking with the consignment/events manager. Here the wait time varies – if someone has to find time to read your book before you’ll be considered then this might take a while. I highly suggest that when you speak to the consignment/event manager you ask what the expected response time might be. It might be a week (they’re an avid reader with a lot of time on their hands). It might be 3 or more months (they’re busy and will put you in cue). Each big-name bookstore has their own policies to follow, shelf-space and schedules to consider. 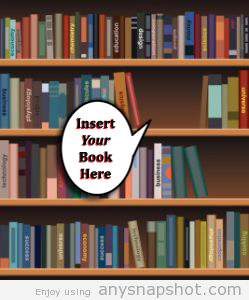 While you might have an amazing book that they’d love to bring into the store they might be at their maximum for consignment shelf space until ___________ (insert month here) at which time they encourage you to re-connect and try again. They might be fully booked for events until ___________ (insert month here) and suggest you try contacting them at such-and-such a date for consideration in the next block of available time. And they also might have 7 other books that look at the same topic/category/sub-genre plot/etc. that are not getting the sales they’ve hoped for and don’t want to risk bringing on another book like the others. Don’t give up. Try another store, try back at the specified month/date but know that if this is something you want to do, it may take anywhere from a month to a year to get into that bookstore – persistence pays off. 1) I wish I could help you but you can reach ___________ (insert name here – and don’t forget it!) at such-and-such a time. 2) Leave me your business card/information and I’ll be sure to let ____________ (insert name here) know you stopped by. 3) It’s nice to meet you. Here’s our policy on consignment books. You can leave a copy for consideration and pick it up in __________ (insert number of weeks here). NOTE: Never leave without the owners name and try to get their or the store’s email address/business card/bookmark before exiting the store. Always ask for the owner’s schedule so that you can come and talk to them in person (if the sales associate declines telling you then go with their best alternate option – see above). The point is, you’re more likely to get instant gratification if you can speak directly with whoever it is that handles the appropriation of new materials. Sometimes these bookstore owners want to read your book, often they want to talk to you to learn more about you and your work, and occasionally they’ll pull out the consignment contract on the spot – give you their terms (see pt.1) and take a handful of your books on the spot (this has happened to me more often than not). Once you know who to contact and what to expect from the exchange, you will empower yourself and get your book out there. The paperback can be ordered from local bookstores, online from their websites. What have they got to lose? Exactly, but it’s like, “we want to make you wait until we have heard of you.” I don’t think most serious writer’s are going to be pedaling their books, for long, by hand. Who has time for it, I don’t. I could be writing, lol. I found some of the same stores that turned me down, in the beginning, were selling it online already. Why is this? Or maybe that is the reason. Any thoughts, on this. It’s exactly as you said, Andrea. The stores have a hard time ‘gifting’ shelf space to “unproven” authors. Once they start accepting it online it’s time to reach out to a company liaison (rather than a store event/consignment rep) and be all cute and polite and sell the hell out of your book… again. Indie Authors are made to jump through hoops but slowly the stigma is lessening and the tides are turning. Waterstones have a system via distributor, Gardners. Could you tell me more, Angel? Lulu doesn’t ship to Gardners though and I have no idea if they supply Nielsen BookData with information.